I’m a Spanish-Mexican artist residing in London. Visual Arts MA from San Carlos Academy (UNAM), Mexico. I have been a Symbolist and Surrealist painter, sculptor and amateur paleontologist for most of my life. A professional illustrator for more than 30 years, I’m currently devoting most of my time to nature illustration and paleontological reconstructions. I have participated in several Dinosaur Art exhibitions, among them one at the Dinamation Centre in Fruita Colorado in 1995, where I could attend lectures by Jim Kirkland and Bob Bakker. 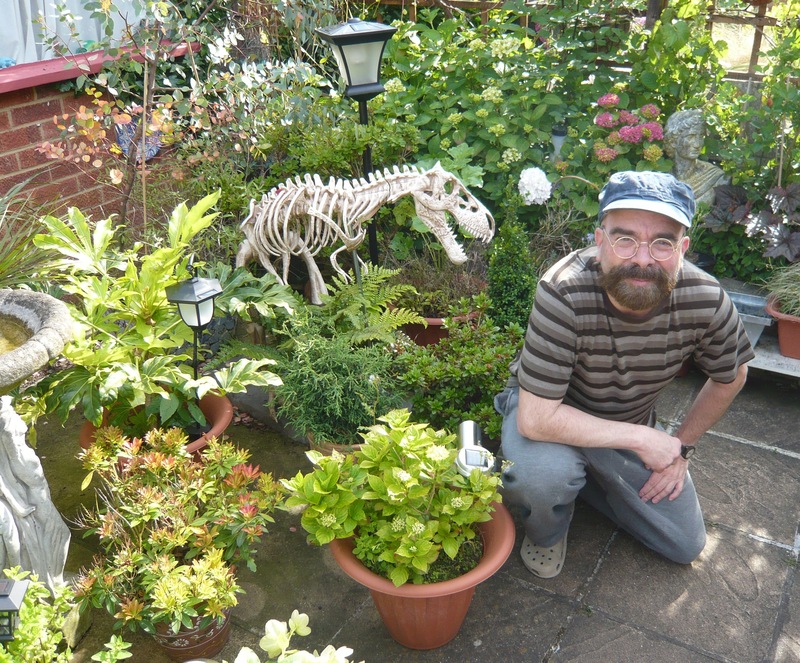 I have also collaborated in Dinosaur books from Usborne Publishing, Kingfisher, Wayland Publishers, Marvel Comics (“Dinosaurs: A Celebration”) and many others while at the same time keeping independent research and continuing with dinosaur restorations of my own. This has been appreciated by private collectors from the U.S. that keep commissioning me to do paintings for their own exhibitions and collections. While I consider the anatomical reconstructions of the animals my “forte”, I also started reconstructing habitats from different parts of the world in different geological eras, trying to keep a very critical eye on my own restorations and using as much available data as possible, but keeping an open mind and not being afraid of getting into risky, hypothetical reconstructions within the limits of what can be considered reasonable. My main influences have been Robert Bakker and Gregory S. Paul, the two people that I consider mainly responsible for giving dinosaurs their own character as a species. I’m also known as a defender of the hypothesis of high metabolism in the Dinosauria in general and the fact that birds are direct descendants of the dinosaurs. I also like to reconstruct my dinosaurs with feathers when the skeletal anatomy and size of the animal is suggestive enough to do so. My work’s technique is mixed media using acrylics and inks with airbrush, color pencils and markers over cardboard. I also do clay modelling and recently have moved into digital media. Please note that I am the copyright holder of all artwork and images on this site and these should not be taken or reproduced without permission. I really enjoy your blog and your vibrant dinoart! I also thought you might be interested in my company’s new iPad app – Real World Dinosaurs – now available on the app store! I particularly think it would appeal to you and your readers because it combines science and art – just like your blog! Plus, there’s always more to look forward to because new dinosaurs will continue to be added. Anyway, I hope you’ll check it out and I look forward to admiring more of your art!